In the second of the series of Women in the Law lectures, delegates will have the opportunity to hear from three of Northern Ireland’s most senior and experienced female practitioners on the issue of ‘Banking Law’. The seminars are open to all members of the profession. The lecture will take place at the Inns of Court and lunch will be served at 12.30pm with the seminar running from 1pm – 2pm. There will be an opportunity for networking after the event from 2pm – 2.30pm. Lesley Bourke graduated from Queen’s University Belfast in 1985 with an Honours degree in law and she qualified as a solicitor in 1986. She joined the Legal Department of Northern Bank Limited (now trading as Danske Bank) in 1988 and became Head of Legal Department and Company Secretary in 1998. She has been a member of the Bank’s Executive Committee since 1997 and is responsible for providing legal advice to both the senior management of the Bank and the Board. Lesley became a member of the Institute of Bankers in 1996 and was made a Fellow of the Institute in 2007. 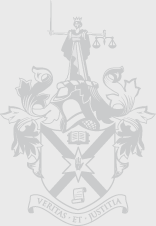 In 2009 she was appointed to the Senate of Queen’s University Belfast and has represented the University on the Council of Legal Education for the Institute of Professional Legal Studies since that date. During the seminar, Lesley will look at the history of and changes in the legislation relating to the issuing of banknotes by Northern Ireland banks. Irene Martin graduated from Queen’s University Belfast in 1984 with an Honours degree in law. She qualified as a solicitor in 1985 and has worked in the financial services industry for most of her career, joining the legal department of Northern Bank Limited (now trading as Danske Bank) in 1997. She became the Bank’s Senior Corporate Lawyer in 2000. Irene obtained an MBA from the Open University in 1996. In 2009 she won the British Bankers’ Association award for outstanding achievement in the UK Diploma in Compliance. Irene has been the lead lawyer for the Bank in a number of key strategic projects including the migration of the Bank’s systems to the Danske Bank platform in 2006 and the recent re-brand programme. Irene also advised the Bank on the introduction of the Payment Services Regulations in 2009. During her talk she will consider the rights and obligations of payers, payees and payment service providers which arise when payments are made using electronic means. During her talk she will consider the rights and obligations of payers, payees and payment. Jacqueline Simpson BL was called to Bar In 1987 and is a graduate of Pembroke College Oxford. She has a BA in jurisprudence and a M.Phil in Criminology from Peterhouse College Cambridge. Jacqueline has a wide and varied practice specialising in commercial and chancery litigation. Her talk is will be on "Lessons to be learned from the recession". Delegates can claim 1 General Study CPD hour for attendance at this event. Details of the third in the lecture series will be published shortly. Places will be limited so early booking is recommended.